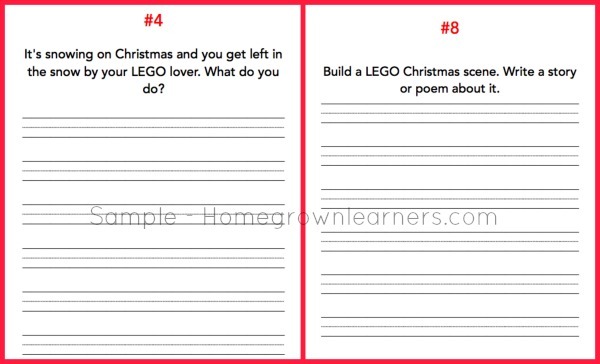 LEGO Christmas Writing Prompts and Story Telling - Free Download! How about some LEGO minifig fun during the month of December? During December we will be doing "light" schooling. I want to craft, bake, build LEGOS, and have FUN. It's important, however, that my little guy keeps his writing skills going during this time. Grant has already pulled out the LEGO® Education StoryStarter set and is creating Christmas scenes. This week he wants to create a "Christmas Cartoon" with the storytelling software. Don't you love all of the possibilites with LEGO? I've created this free download for your LEGO lover (and mine, too!). Included are 10 writing prompts, extra writing paper, and minifigs to cut and color. 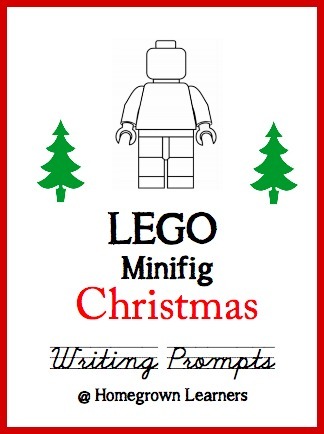 Click to download the LEGO Minifig Christmas Writing Prompts. You can find more writing prompts and other LEGO learning activities in the LEGO Learning area of my blog.